Adding to what is already shaping up to be a very busy summer, Universal Pictures just announced that Ted 2 will open on June 26th, 2015, five days before the Terminator reboot bursts onto the big screen. Seth MacFarlane is set to return as a writer, director and voice of the film’s title character, while co-star Mark Wahlberg is confirmed to come back as well. It is unknown if Mila Kunis will come back or not, but given that she’s a regular of MacFarlane’s Family Guy as the voice of Meg, it seems likely that she will sign on before production gets underway. 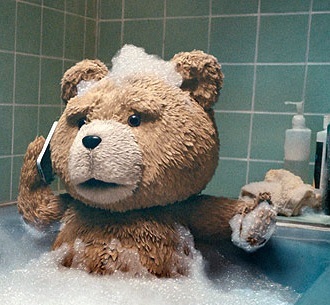 Ted was a massive hit in 2012, grossing more than $200 million in the US alone.